Who&apos;s having fun with fall fashion? I sure am. My friend Jo-Lynne inspired me to try this color--what would you call it? Ochre? I don&apos;t know, but I like it. I also like bringing the sweaters out and playing with layers. Most of the outfit is from LOFT, some old, some new like the very special necklace I&apos;m featuring. I&apos;m so proud to team up with LOFT to share this special jewelry collection designed to help women battling breast cancer and those who support such a meaningful cause. From September 18, 2015 through November 15, 2015 LOFT will donate 70% of the purchase price of this necklace ($69.50) to the Breast Cancer Research Foundation (there&apos;s also a matching pair of earrings you can buy). The LOFT Jewelry Collaboration is available at LOFT stores and online at loft.com. 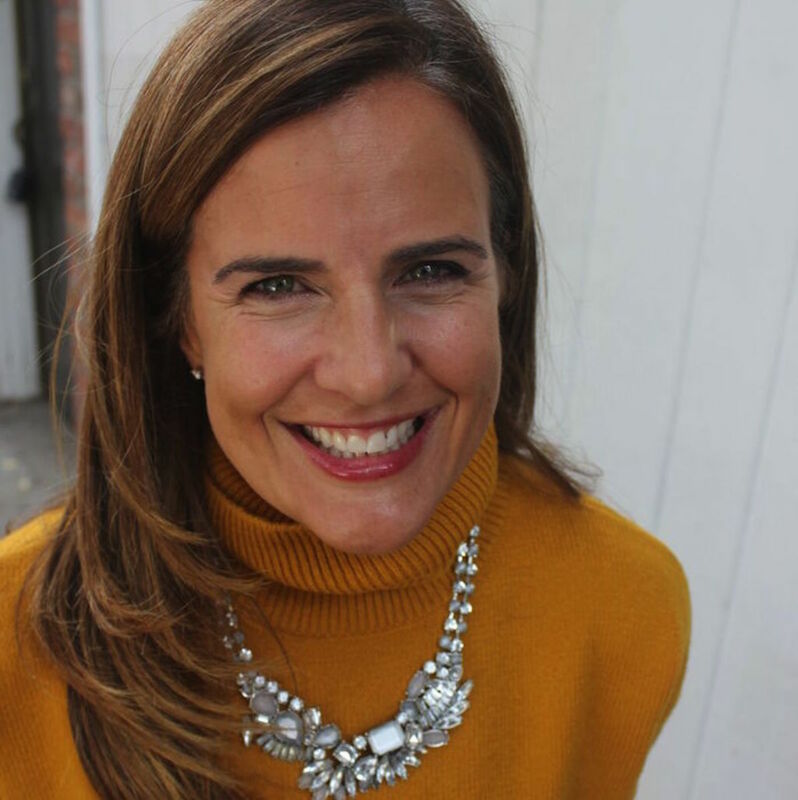 The lovely team at LOFT asked me to style the necklace, so I worked with what I had, and also popped into my local LOFT to see what was new. I fell for the LOFT Relaxed turtleneck sweater in the yummiest fall color--it looks like the squash soup I made this weekend. I layered it with a Sleeveless Mock T-neck top in cream (also from LOFT). I like the way the hem dips low beneath the sweater. The skirt is last year&apos;s leather skirt. If you&apos;re hankering for leather, LOFT has this pencil pleather skirt currently in stock. The Isola shoes were featured a few weeks ago, and you know I wear everything multiple times, so things get re-featured here! I don&apos;t have a 1200 s.f. closet (you can see my closet here and find out how I tame the clutter). Once last trend to talk about. Are you in love with fringe this fall? I&apos;ve got a little girl crush on the trend. 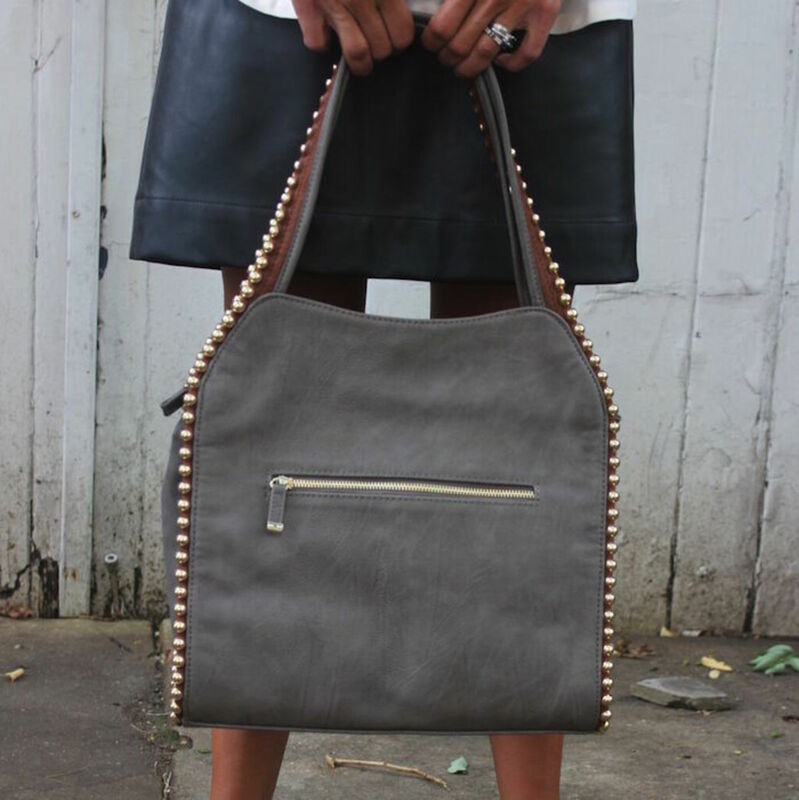 Here&apos;s the Big Buddha Graycie Front Fringe Handbag ($95). I ordered this bag from Amazon and then ended up sending it back. Should I have return remorse? 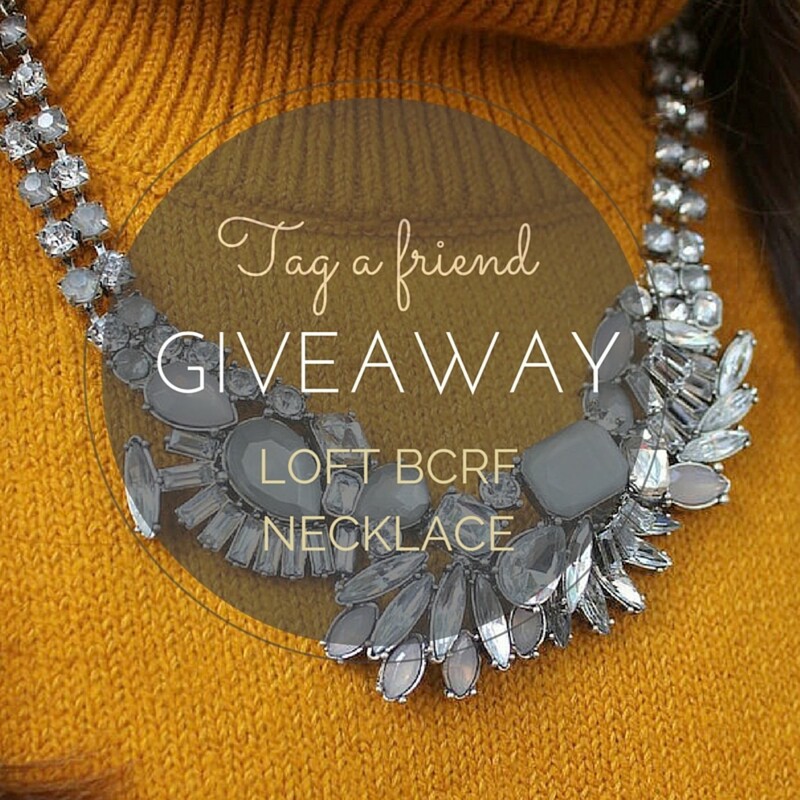 Head over to our Instagram page to win a special LOFT Sparkle Statement Necklace ($69.50 value) in a special tag-a-friend giveaway. The Breast Cancer Research Foundation (BCRF) advances the world&apos;s most promising research to eradicate breast cancer. Founded by Evelyn H. Lauder in 1993, BCRF has raised more than $560 million to fuel discoveries in tumor biology, genetics, prevention, treatment, survivorship and metastasis, making it one of the largest non-governmental funders of breast cancer research in the world. By spending 91 cents of every dollar on research and public awareness programs, BCRF remains one of the nation&apos;s most fiscally responsible nonprofits. For more information, please visit: www.bcrfcure.org. 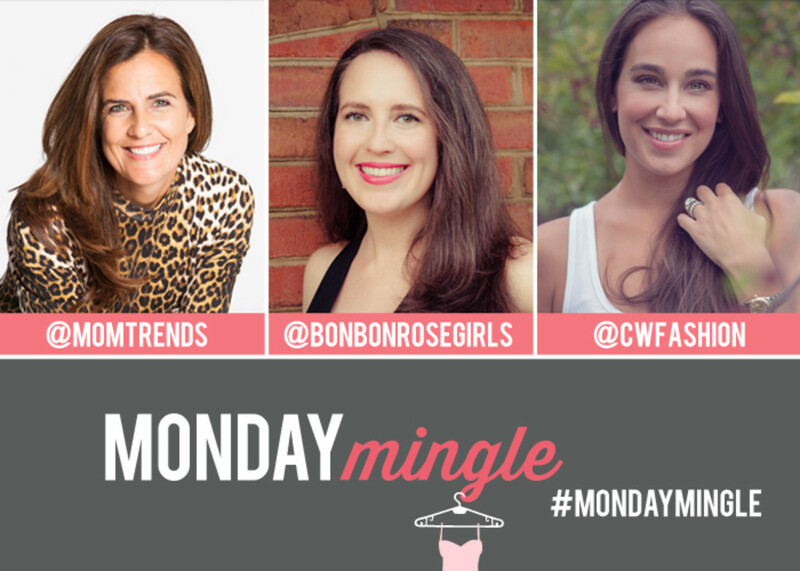 Monday Mingle is the stylish collaboration between Bon Bon Rose Girls, Momtrends and Thirty Something Fashion. 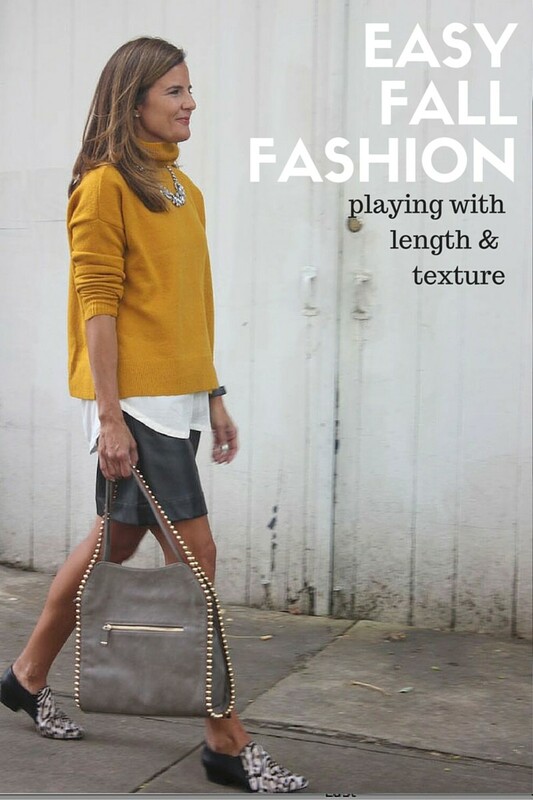 Each week we post about our personal style and then invite our friends to join in the fun. This week Kristin is hosting. Head over to BonBonRose Girls to link up.